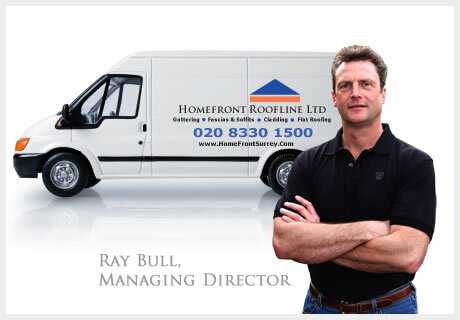 The Homefront Roofline Ltd of Surrey, specialists in the repair and installation of UPVC Barge-Boards. 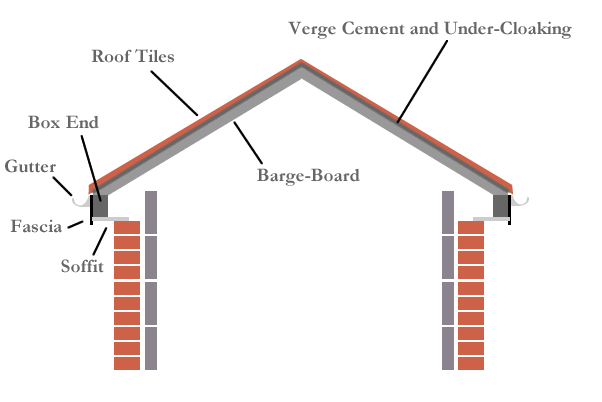 What are barge-boards and what do they do? 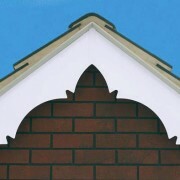 Barge-boards mask and protect the gable-end. They are non-load bearing and do not need ventilation. Self-supporting barge-boards are strong-thick UPVC boards that are joined to the supporting timber with polytop nails. 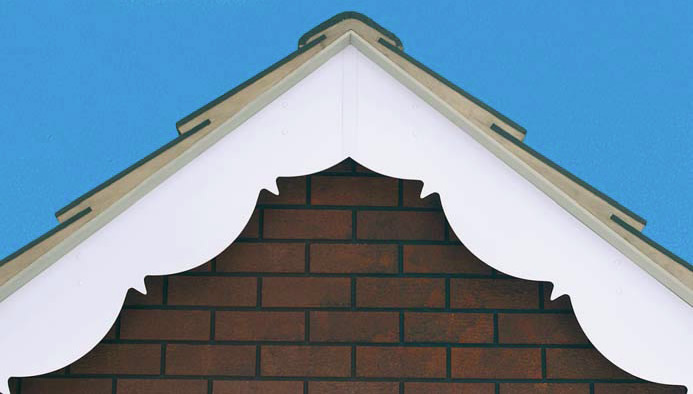 Self-supporting barge-boards are a good solution on new and recently built properties, where the rafters are strong and healthy. 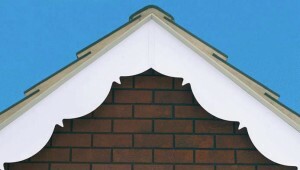 Timber-backed barge-boards are usually employed on properties with ageing rafters. 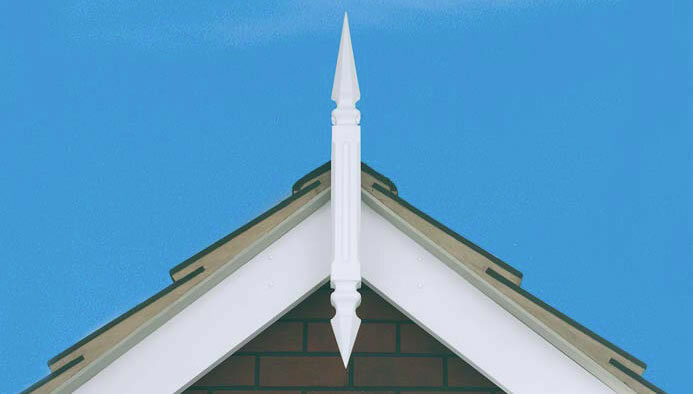 With a timber-backed system we can use more fixings and hide them behind the final UPVC layer. This delivers a strong and attractive finish. 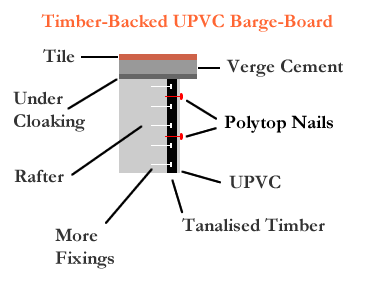 Timber backed barge-boards have two layers. The first layer consists of specially treated tanalised timber. 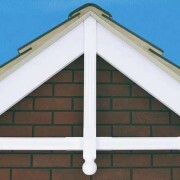 This is attached to the supporting rafters and provides a strong platform for the UPVC layer. 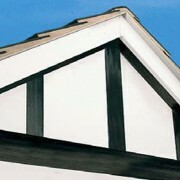 Next, the tanalised timber is covered with a lightweight UPVC board. 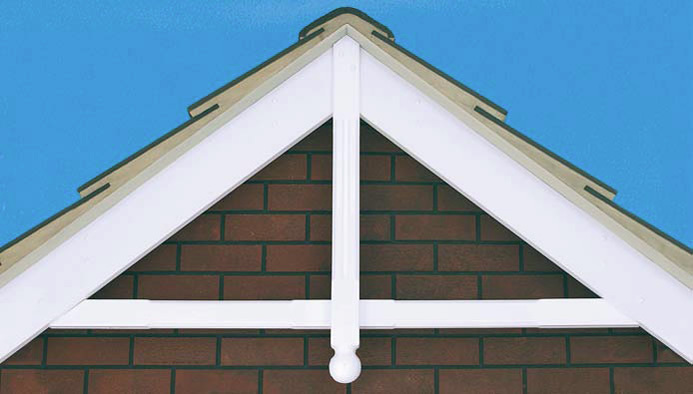 Timber-backed systems allow more fixings to be attached to the supporting timber. The fixings are then hidden behind the UPVC panel. 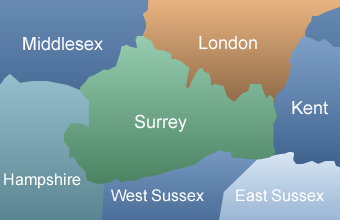 Tanalised timber has a very long life and is expected to last at least 70 years. If a property has sound wooden barge-boards then over-cladding can be an effective way to avoid repainting. 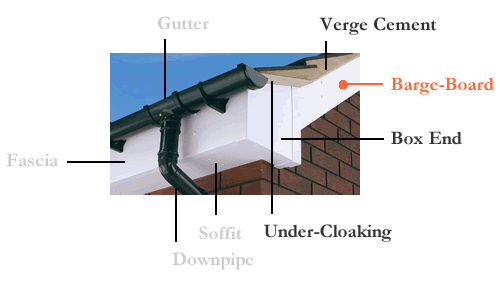 The over-cladding process is similar to the timber-backed process described above. However, the existing timbers are not removed. 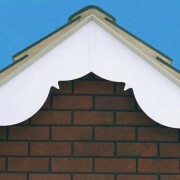 Instead, they are covered with a lightweight UPVC board. In practice, over-cladding is rarely used and in 99% of our projects we remove the existing timbers and install new ones. What is verge cement and under-cloaking? Cement is used to hold the roof tiles in place. 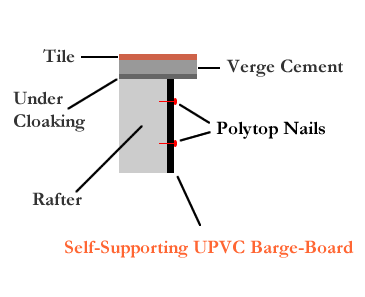 This is known as Verge Cement (see diagrams above and below). It would not be wise to lay cement straight onto wooden rafters. Instead, a cement board is nailed to the rafter. This acts as a platform for the verge cement and is known as Under-Cloaking. Over time the verge cement and under-cloaking perish. 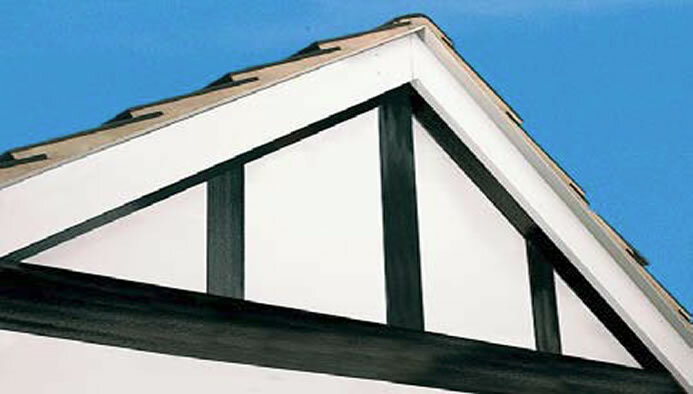 In most barge-board installations some level of repair is necessary. This could be anything from a minor repair to a complete replacement of the verge cement and under-cloaking. 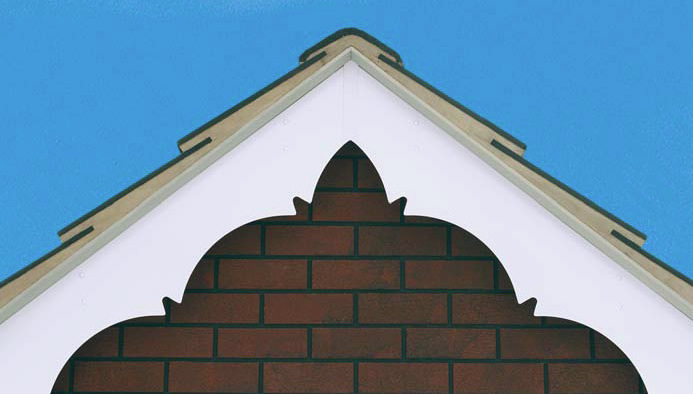 You can retain your home’s original features with decorative barge-boards. 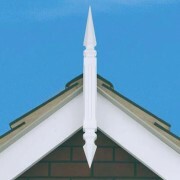 Examples include concave and convex profiles, ball finial and bracing bars, trims, roof spires, dentil mouldings and timber effects. 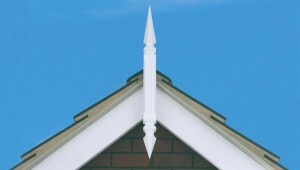 There is no airflow in the gables of a typical home and therefore barge-boards do not need any form of ventilation.